Last year we were able to accomplish more than ever, and it would not have been possible without all of you! Our impact could be felt in a big way as we distributed: baby clothing, formula, diapers, winter coats, clothing, household items and toys. In addition, we provided hundreds of personal hygiene kits, more than 1,000 backpacks with school supplies, tens of thousands of cases of food and over 100,000 PB&J sandwiches (across countless Corporate-Sponsored PB&J Days). 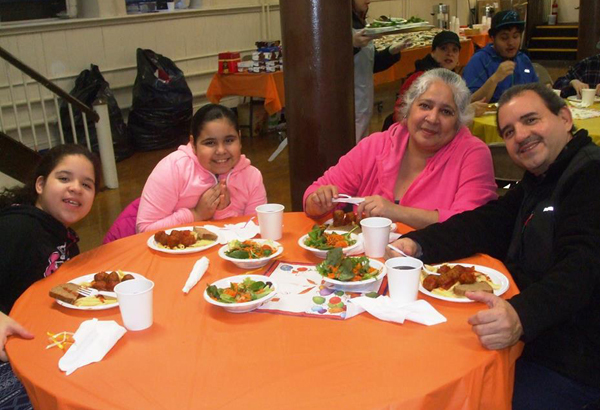 We kicked off January by hosting an Annual "Dinner for the Needy" at the Church of St. John the Baptist near Penn Station. All were welcome at the free meal. Our Winter Soup Drive is underway for 2016. With your help we can distribute thousands of cases of soup to feed and warm our clients. Please donate and spread the word! 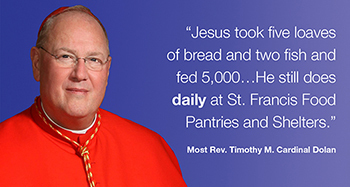 #StFFPsoupdrive. Volunteers from Ross Stores kicked off the year by hosting our very first PB&J Day of 2016. The Three Kings Day celebration at Christ the King Church was a joyous occasion. We were happy to donate all of the toys that were given out on this day. We look forward to a wonderful year ahead filled with exciting new projects, milestones, and much more. Please stay connected with us on Facebook, Twitter, Instagram, and Vimeo.